If looking to own or lease an exotic vehicle that will bring excitement, comfort and luxury to your everyday drives, Ray Catena Porsche is the destination for you. We offer the most exclusive new and Approved Certified Pre-Owned inventory on the east coast, serving the New Jersey, Brooklyn, Staten Island, and Philadelphia areas. Looking for a Panamera or Cayman for the commute? A Macan or Cayenne to chauffeur the kids around? Or maybe a sporty 911 or Boxster to put the top down and just cruise? Besides our stunning new inventory, our high-end Approved Certified Pre-Owned Porsche’s are always in showroom condition. These are vehicles with one owner, clean CARFAX history reports, and low mileage. We’ll recondition the vehicle and conduct a 150+ point service inspection to ensure that each and every Porsche gets the attention that it so rightfully deserves and drives away as good as new. 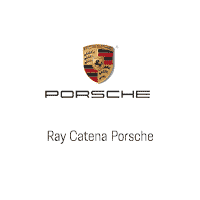 You’ll find all the popular Porsche models and more in stock and readily available at Ray Catena Porsche. To make the car buying process that much easier, our entire new and certified pre-owned inventory is listed on our website. For maximum shopping convenience, use the site’s filters and tools to help narrow your search by new or used vehicles, model type and year, lease offers and special pricing, service and parts, and even a payment calculator to help estimate a monthly cost of the Porsche that you’d like to take home. You can even start the car buying process by applying for financing through our electronic form, or value your trade for an upgrade by providing us with information about your current vehicle. We will contact you immediately to assist in devising a payment plan that best suits you and your lifestyle. If you’d like to take your interest even further, our Porsche Management and Brand Ambassadors are always available for questions and assistance. Ray Catena and his dealerships have provided world-class, infamous customer service for nearly 40 years. We treat every customer like family from the moment they walk through the door, throughout the entire sales process, and beyond, creating long-lasting relationships for generations. It’s no wonder why they keep coming back to experience the Ray Catena Way! So, feel free to contact the dealership with any inquiries via email or telephone and we’d be happy to serve you! For the latest Porsche news and info, visit our daily blog.